So I decided to experiment. First I tried some temporary 'pedal pads'. These were tapered to bring the ball of your foot about 3/4" above the pedal cross bushing, effectively putting the toe piece on the same level plane. Thought this might be better for ergonomics than simply shortening the clevis bushing on the brake cylinder rod. 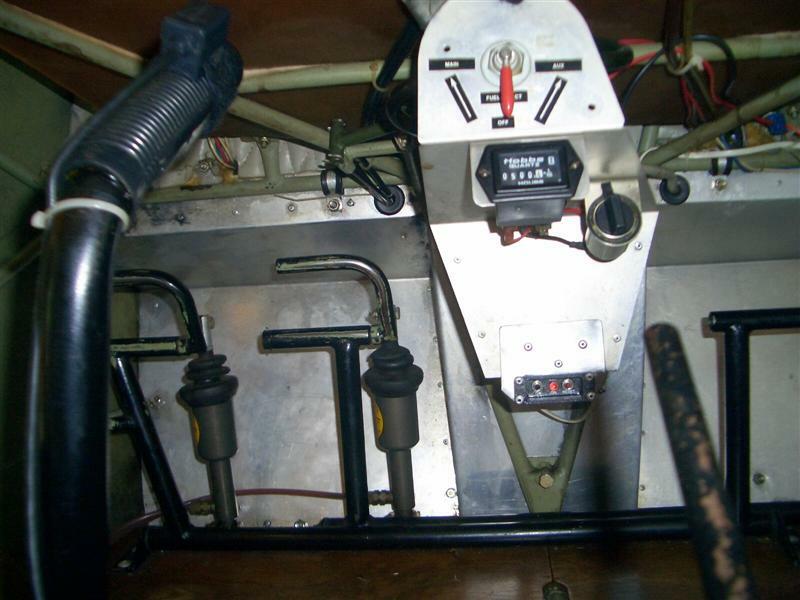 If you get the toe piece canted too far forward, your ankle does not articulate that way easily when you have the rudder pedal depressed. Having the large flat pads was a big improvement for me, gave the ability to position your foot anywhere rather than on just a small cross tube. Unfortunately, the braking was still less than ideal. It did keep you off the brakes and allowed for full braking, but I still had to lift my heel slightly to apply full brake pressure. I had recalled reading about the ability to simply swap in the passenger side 'E'-style toe pieces from the Model IV so I started looking for that info. I found out it had been done successfully, but required modifications which might be a bit more than some (including myself) want to perform. 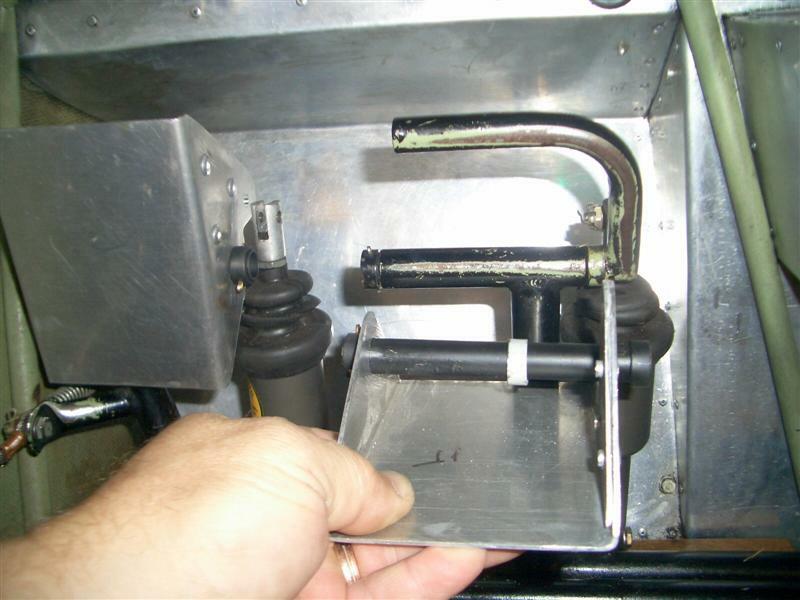 Specifically, you need to re-weld on a longer center cross tube on the 'E' pedal to fit the longer bushing tube on the M-III rudder pedal, or cut down the M-III bushing to shorten it to the length of the 'E' pedal center tube. 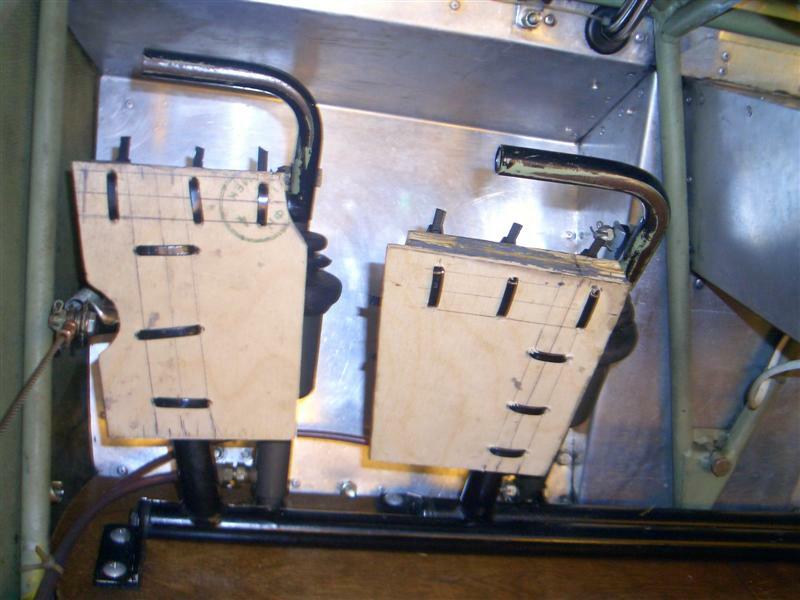 If you choose to do the latter, due to the position of the M-III rudder pedal uprights and close proximity of the outboard bushing ends, you can only remove bushing tube from the center ends which results in increasing the width between pedals. While that might be ok for better accommodating wide boots, I didn't want to cut down the oem pedal bushings in case I didn't like the result. Here's a pic of the M-IV pedals courtesy of member napierm to help visualize why you use the passenger side toe pieces, and the difference in center tube length. 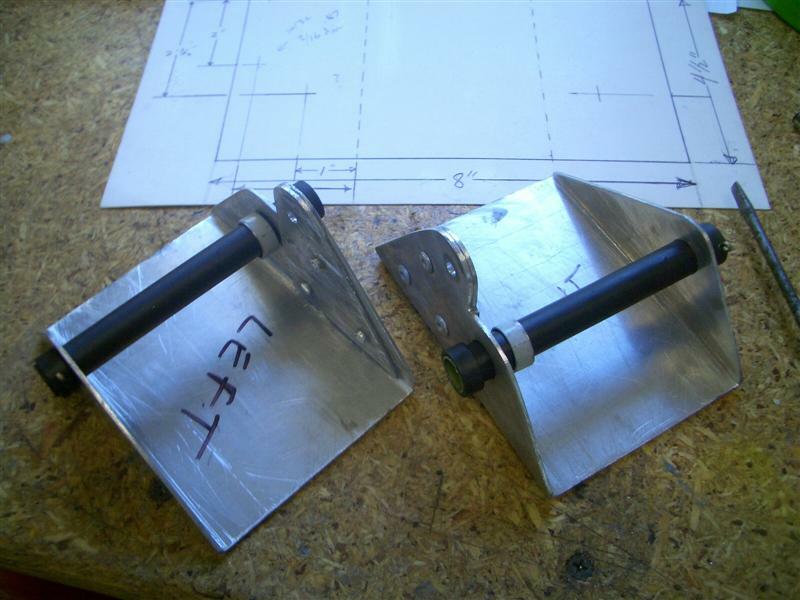 While searching out the 'E' pedal info I came across another forum post where M-III owner sdemeyer had made up some new pedals with large flat pads and no separate toe pieces which seemed to retain the proper braking ergonomics. Looked like the best of all worlds to me, and since measurements were graciously provided in the thread, I decided to make up a set. 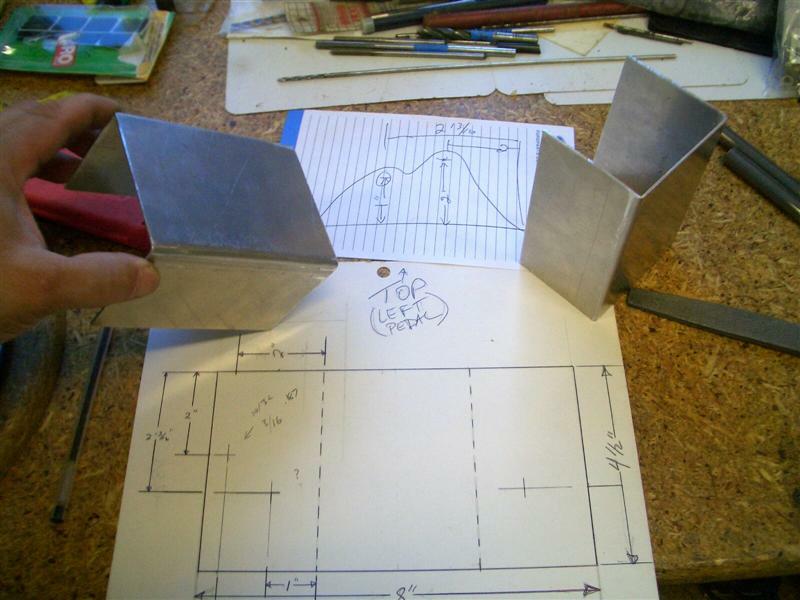 In my template, the missing measure between the bend lines was 3-1/4" which turned out to be wrong. More on that later. Made the bends using hard wood blocks in a vise and marked for holes and trim lines. 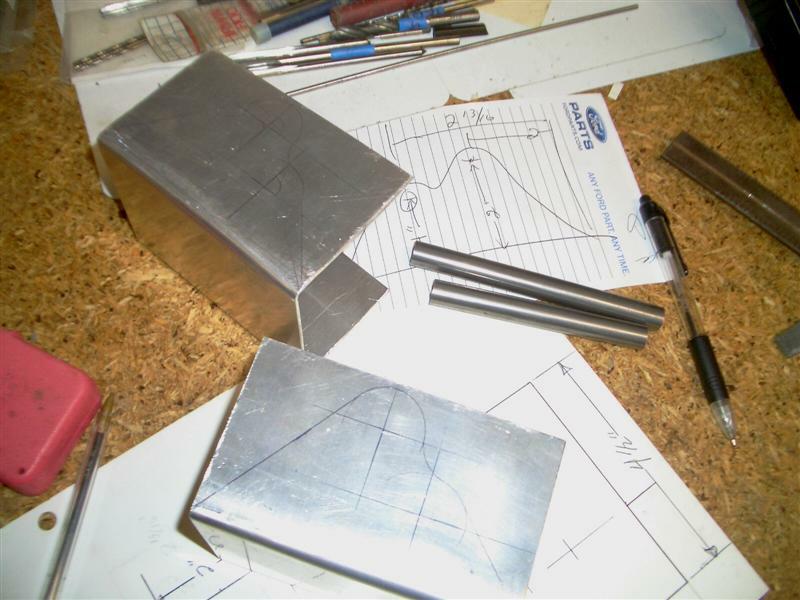 The clevis hole is 3/16" and the bushing tube holes are 1/2". The pedals ended up slightly out of square due to not having used a proper metal brake, but I squared them up using the carbide blade in my table saw. I also Hysol'ed and riveted a doubler to the brake clevis side for extra strength, then trimmed to shape. Used the hand grinder with a cut-off wheel to do 99% of the trimming, then hand filed everything smooth to remove burrs. Note the spacer which is used to shift and shim the wider pedal towards the right, to align the pedal edge with the brake cylinder clevis. 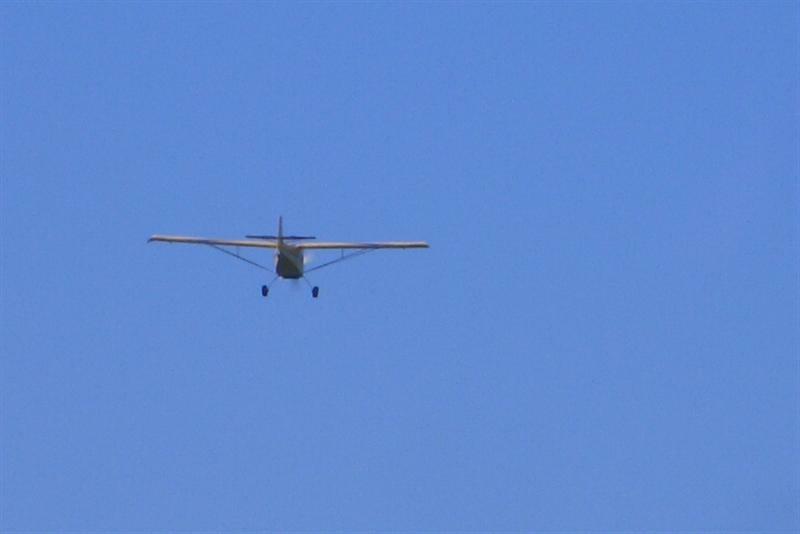 All this was done on faith based on the measures from the forum post pics I found, as my plane was 40 miles away and I couldn't easily verify. 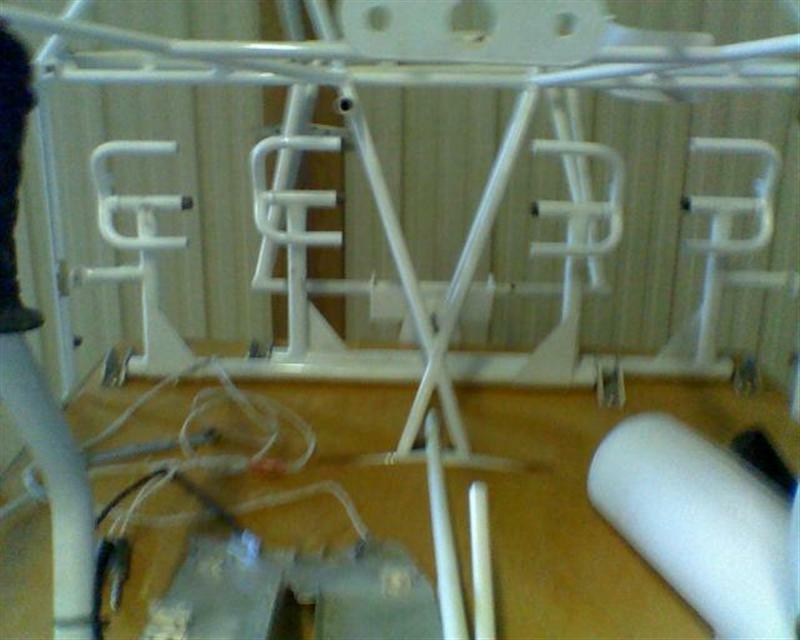 Unfortunately, when I took the pedals to the plane, I found out the measurements were not correct. 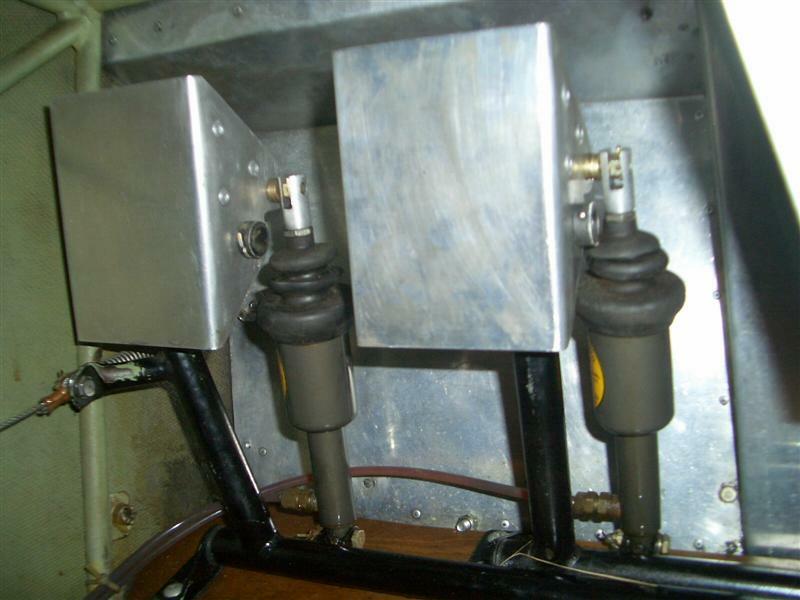 Basically, the pedals need to be even wider in order for the brake cylinder to attach in perfectly straight upright fashion. Grrr. Thankfully I had the foresight to bring along a hardware bag and was able to hook everything up. I reused the old bolt with some new washers, shear nuts (which fit perfectly between the clevis legs) and cotter pins. With the cylinder straight upright, the bolt was just long enough to reach into the far clevis leg and the whole assembly is surprisingly solid. I may simply use a longer drilled bolt to allow a castle nut outboard and see how it holds up. After a few high speed taxi runs, I find this to be a HUGE improvement over the original pedals, and well worth the effort IMHO. Love the large pads and you don't need to half break your ankle to get on the brakes even in a turn. Keep in mind, the pedal must be wider (I think 4" between ears vs. the 3-1/4" would be about perfect). I would also move the clevis hole out an extra 1/4" to 2-1/4" from the pedal face vs. 2" for a bit more clearance if you also plan to extend the cable adjusters and angle the pedals further forward. They look really good, Doug! Work good! I might raise the clevis up some or move one hole back on the cable adjuster strap, still just a bit more forward push on the brakes than I want. I know this is an old post, but I find myself in a similar situation where these C style brakes are tough to keep my feet off of, especially my right foot, as it (my foot) inadvertently drifts to the side a bit and snags the vertical portion of the "C". Have there been any further updates on good fixes like this? Doug, any chance you still have a set of drawings laying around you might be willing to part with?? I've been contacted several times for additional info since starting this thread so I am just going to post everything I have related to the mod. That only amounts to a couple more pics really, but maybe they will be helpful to someone. Just be sure you adjust the width measures to your own project as noted in the thread above. Sorry, I used scrap on hand and don't recall the sheet gauge.